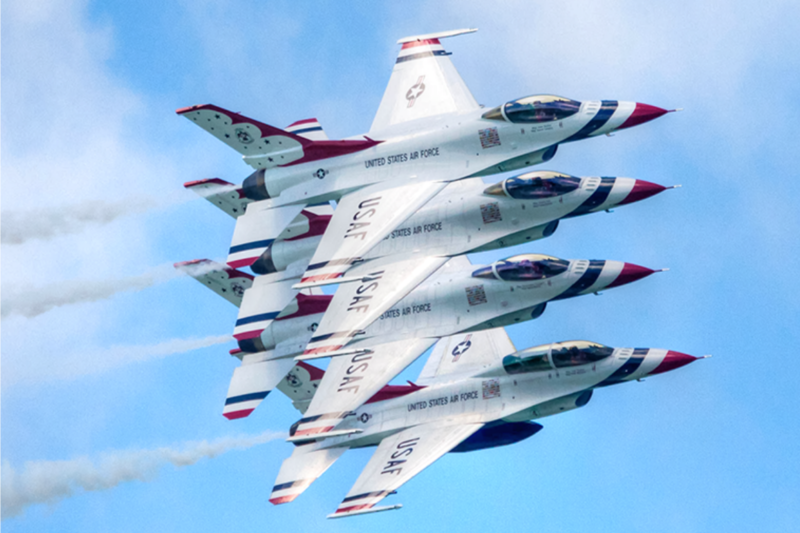 Take flight as you watch the U.S. Air Force Thunderbirds take to the skies as they perform over West Grand Traverse Bay on Saturday, June 29th and Sunday, June 30th during the opening weekend of the National Cherry Festival! A full practice show will be held on Friday, June 28th in the heart of Traverse City, Michigan. Watch the air shows FREE on both days from the shores of West Grand Traverse Bay. Listen live on WTCM AM 580 to hear air show commentators give minute by minute maneuvering. For more information about the U.S. Air Force Thunderbirds, please click here.